The 3-star Athena Hotel is located in Milopotamos, Kythira. Athena Hotel common facilities include bar	and restaurant. The property accommodates visitors in double or twin room, honeymoon suite, junior suite and other might be available upon request. The rooms provide sea view. 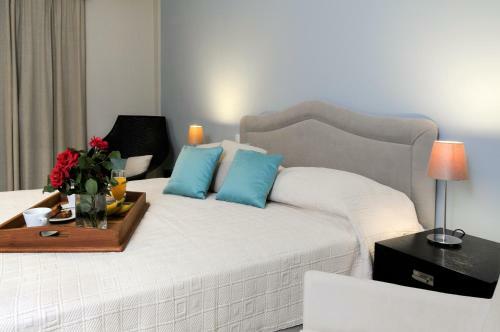 Amenities of the rooms include air-conditioning, tv, satellite channels, fridge and more. The WiFi is free and available in all areas. On site there is free parking. Athena Hotel does not accept pets.